We’re almost at that time of year again when the longest holiday in China hits. Homes and restaurants will be decorated in red, the color which means good fortune in China. Celebrations and feasting abound, with plenty of toasts and alcohol. Gifts are given; some businesses give their employees the “red envelope,” which may contain a cash gift. 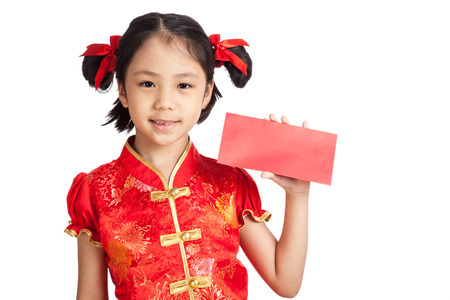 Many children will enjoy a red envelope from their parents. And, they have a ton of time off. Around the middle of this month, several hundred million workers on the east coast, where most of China’s industry lies, will begin to migrate back to their homes in the center of the country. Factory production will slow, then halt around the third week of this month. Many China manufacturers will be closed for three to four weeks. Chinese shipping companies are closed too. Packages shipped to China will sit in a warehouse until the shipping companies return. Today, Chinese manufacturing companies are going all out making last minute orders that must ship before the Chinese New Year begins. This gives them around a week to finish their orders and get it scheduled on a vessel in time. The ports will be stacked and backed up with containers awaiting a ship. Getting a new quote will be difficult at best. Some factories won’t look at a new quote until they return next month. The same for getting samples out. If you’re looking to place a new order, it wouldn’t be inserted into their production schedule until they return next month. On a personal level it’s a little frustrating to have their entire country stop production for three to four weeks. I always want to keep my customers’ projects and orders moving. On the other hand, I have to confess to a little bit of envy. Doesn’t three weeks off sound nice?